Another long week has passed.. “The bite is on.” “The bite is off.” It all depends on who you ask. If you ask us, we’ll tell you it certainly hasn’t been easy to figure out. It is that strange time of year now, a transitioning from spring to summer. A transitioning from good to great, and with any luck, from great to epic. 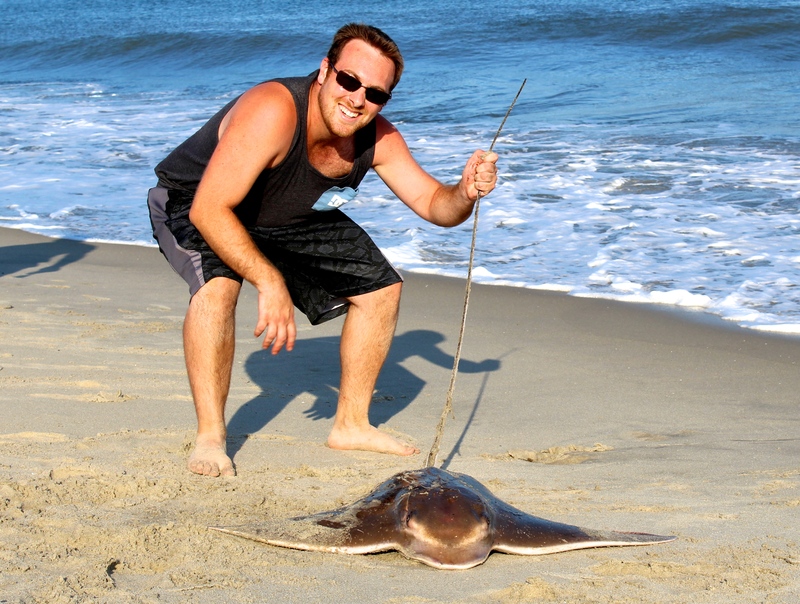 A full two days had passed, and with dismal reports for the better part of shark week, it was still our job to hit the beaches to get our own take on the matter. This time, the team consisted of, Dan and Mike D’Alesio, Jack Skinner, and myself. All of us, minus Jack, had baits in before sundown, and within 5 minutes, Dan is hooked up. A nice bullnose to start out the trip. About an hour passes with nothing before we decide to step up our bait selection. Not 10 minutes goes by and Dan is hooked up again…. 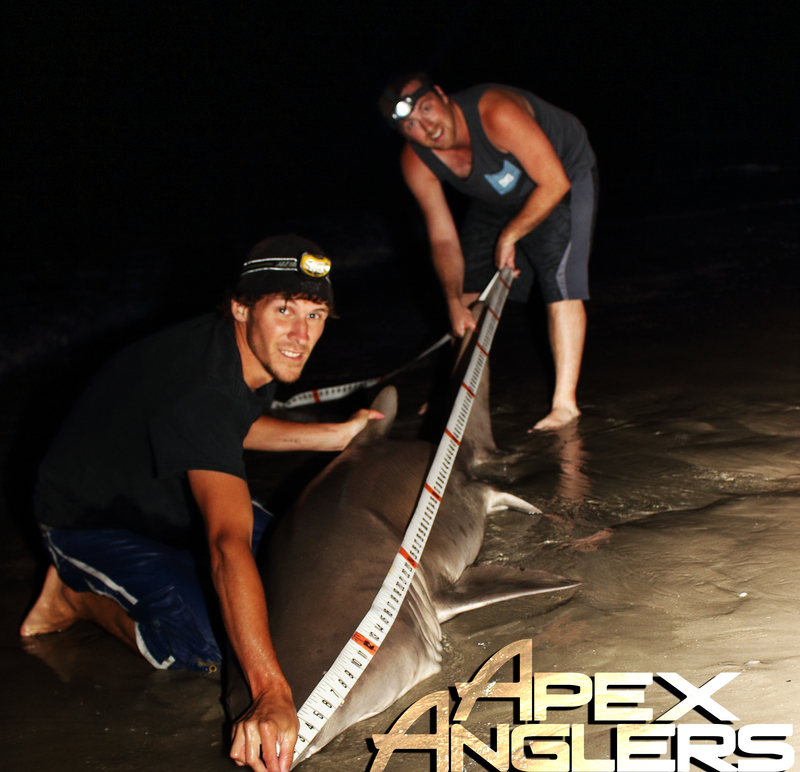 Dan’s personal best Sand Tiger, taped out to 87″. Followed by one of the most energetic releases to date. 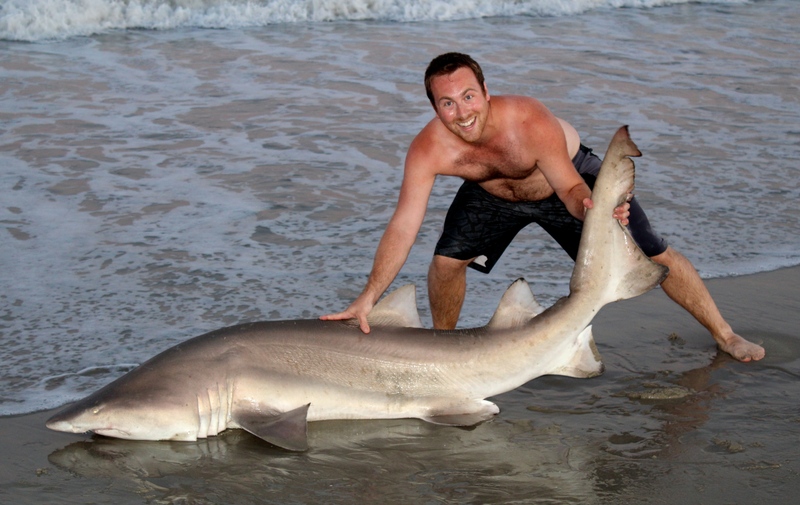 While fighting this shark, another rod went off, but spit the hook immediately. 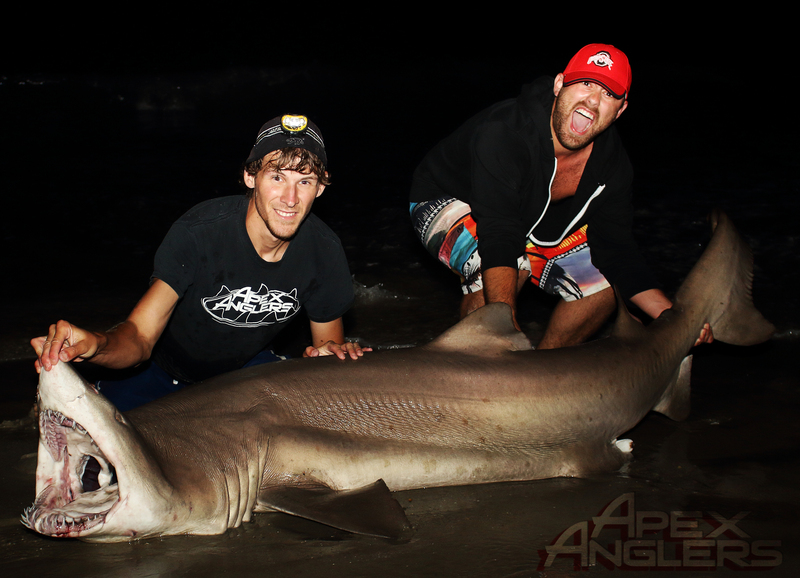 She taped out to 100″ and was his first ever Sand Tiger. 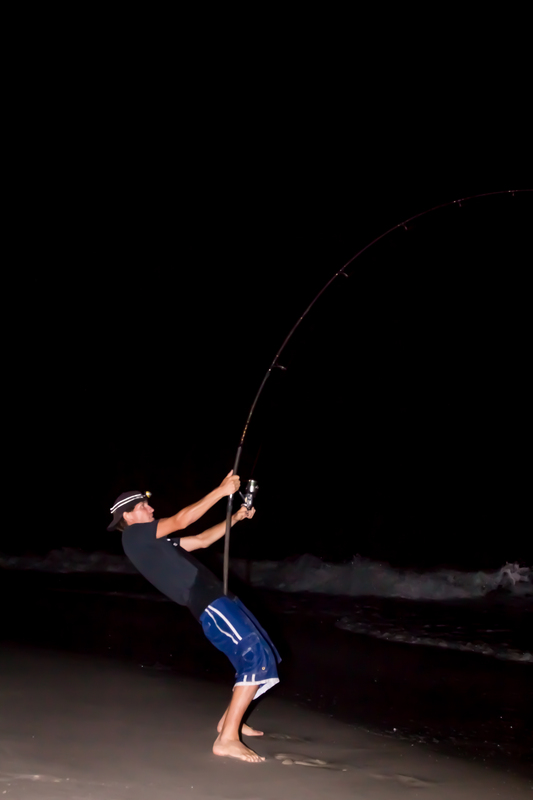 We dropped a few more fish, including one that breached upon hookset, rushed the beach at record speeds, where it jumped again before spitting the hook. 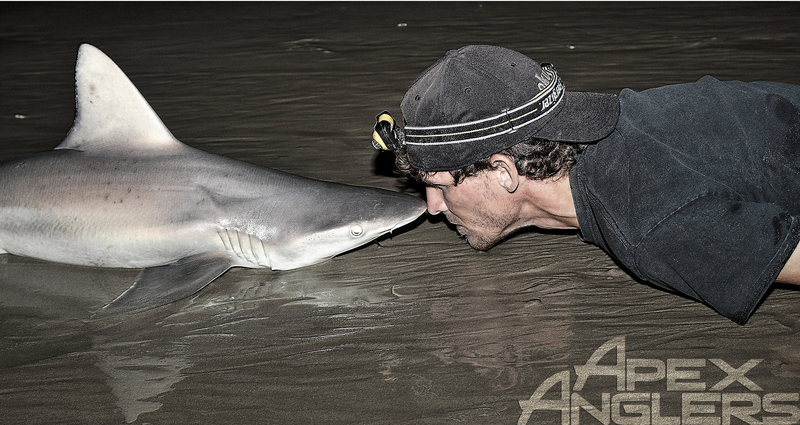 Every characteristic of a Blacktip… So that is something to be suspicious about. 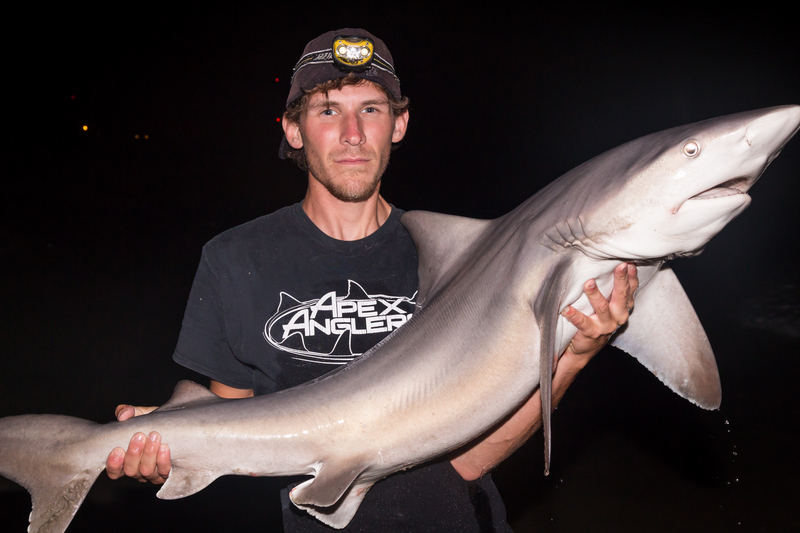 The Sand Tigers turned off, and like a light switch, the Sandbars turned on. 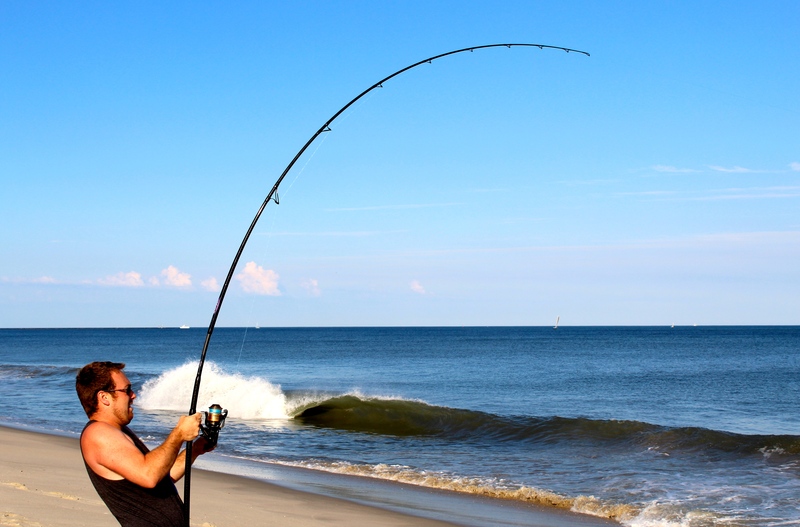 Three casts in a row produced, two Sandbars, and another bullnose. After what we considered a successful trip, we called it around 2am. 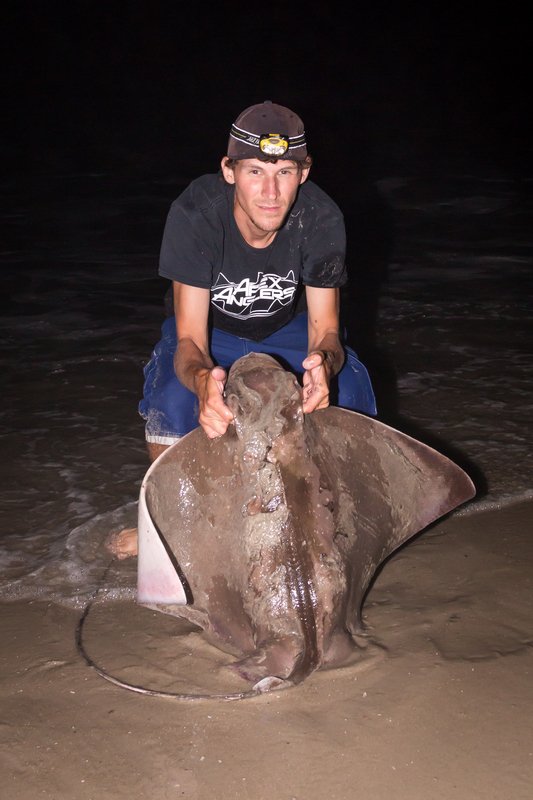 Jack stayed longer and reports one dogfish, and one more missed run before giving up a bit later. Photo credits are shared between Dan D’Alessio, Mike D’Alessio, Jack Skinner and Paul Moyer. Thanks everyone!